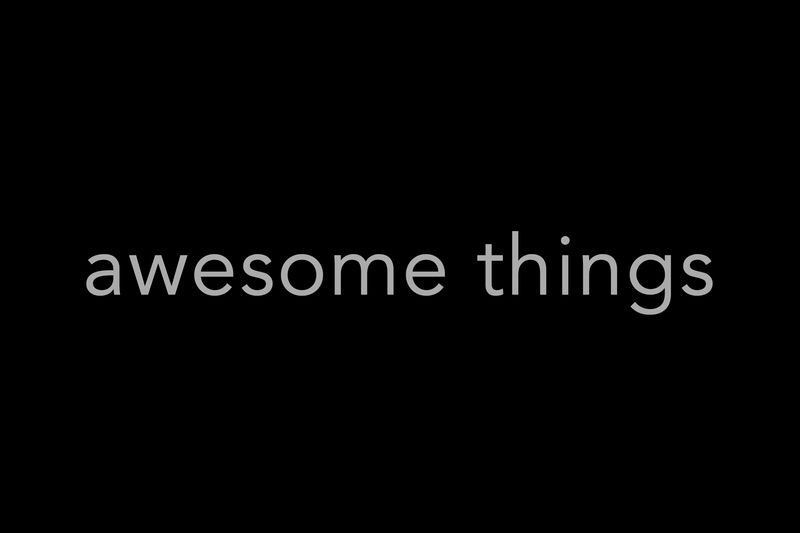 Are you looking for Awesome? We know it when we see it but it often takes us by surprise because someone is thinking differently. Mediocrity is everywhere, and with the volumes of content that are about to flood the web, I’m afraid we’re in for a whole lot of boring. Greatness is going to get harder to come by but it will be there. We’ll find it in those businesses and organizations that are building effective cultures and communities and are making an impact with those they serve. Creative action is involved. Somewhere, someone took action and did something significant. Someone created an experience, a technology or a new process that made a difference in the lives of others by meeting a need or solving a problem. There is real organic growth. Left alone, the concept would spread and grow on it’s own. Great ideas and works have a way of breaking through the noise which is filled with the mediocre. Organic means life and health. These are awesome things. Rules are broken. Perhaps it was merely a stereotype or some conventional wisdom that was disrupted because someone went against the grain. Those that follow their passions innovate around the barriers they encounter. For some, the risk in breaking the rules is carefully calculated. Some however have the faith to leave the results in the hands of others. Keep looking. Somewhere, somebody is doing what they were designed to do. That is Awesome.